What is the origin of the Japanese Kodama? In Japanese folklore, kodama are tree spirits that inhabit trees that are older than 100 years. 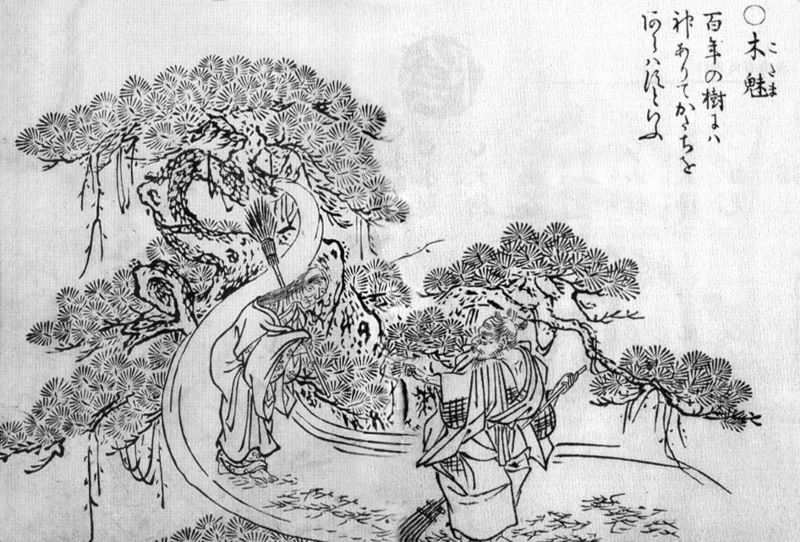 In the collection of yōkai depictions, the Gazu Hyakki Yagyō by Toriyama Sekien, under the title 木魅 ("kodama"), an aged man and woman are depicted standing alongside the trees, and here it is stated that when a tree has passed a hundred years of age, a divine spirit would come dwell inside it, and show its appearance. What myth (if there is one) first describes or talks about kodama? Is there a myth that talks about where the kodama came from? If so, what is their origin? In essence, what is the original myth? and where did they come from? In ancient times, their form was either considered to be invisible or indistinguishable from the trees themselves. listed 古多万 as the Japanese word for spirits of the trees. Another Heian era book, Genji Monogatari (源氏物語; The Tale of Genji), uses木魂 to describe kodama as sort of tree-dwelling goblin. Genji Monogatari also uses the phrase “either oni or kami or kitsune or kodama,” showing that these four spirits were thought to be separate entities. 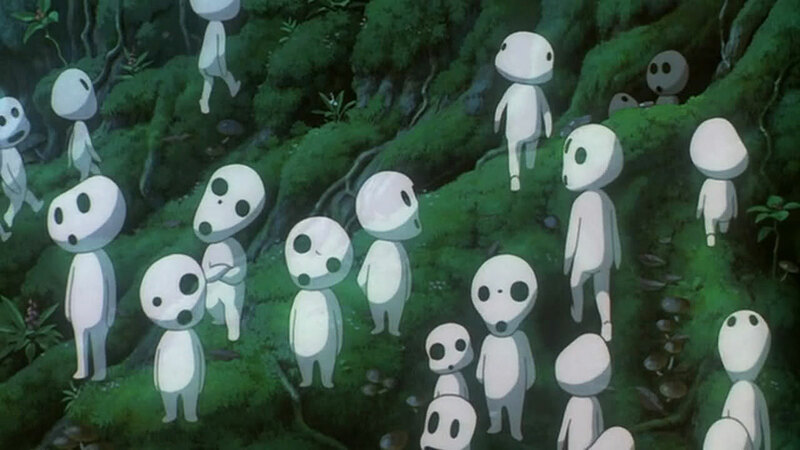 During the Edo era, the kodama became 'humanised' and even stated that they could change their form to be human. Not the answer you're looking for? Browse other questions tagged japanese origins or ask your own question. Do we know of the existence of Japanese mythological texts that predate the Kojiki? What is the origin of Krampus? How are Japanese emperors related to Amaterasu? Who was the ruler of the Japanese Yomi? Are There Pagan Roots of Christmas Traditions? What is the origin of the centaurs? What is the Japanese human origin myth?